Comfortable sneaker-look rollerskate with soft outdoor wheels. Order within the next 12 hours 21 min. hours and your package will ship TODAY. 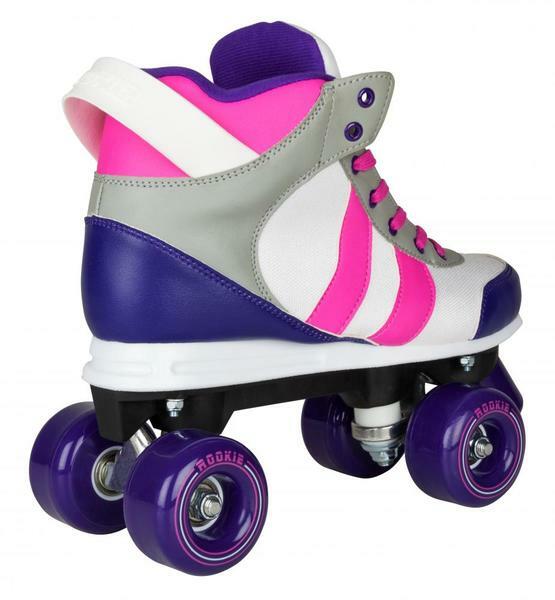 Inspired by the stylish and comfortable designs of contemporary sneakers, mixed with hints of ROOKIE original Retro skate. 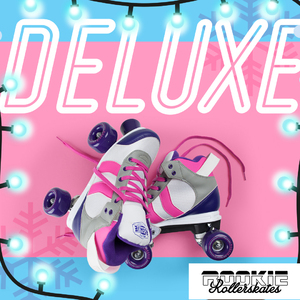 The ROOKIE Deluxe is the most comfortable, supportive skate on the market – with extra padded Achilles and created to a high specification. 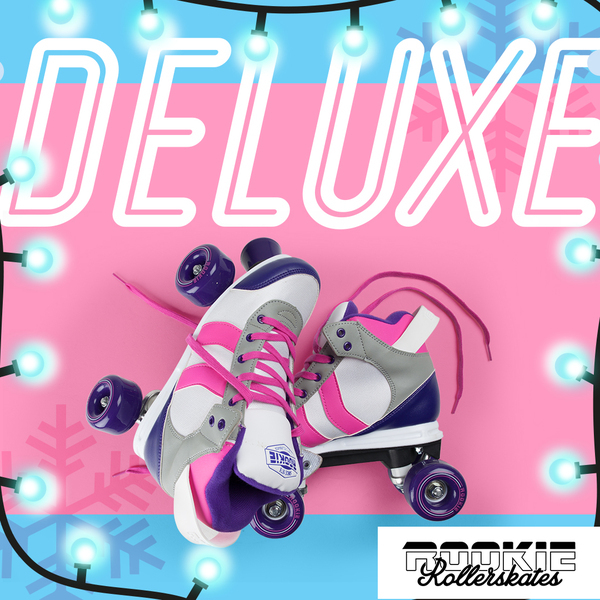 This modernised, sleek design with added comfort provides an air of effortless style and function – perfect for recreational skaters. 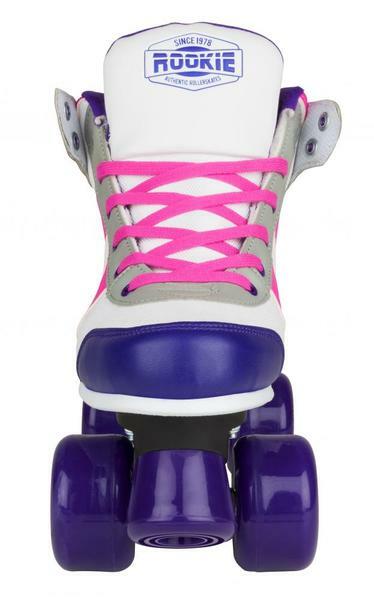 Upper: Ultra Padded PVC with lightweight breathable mesh.